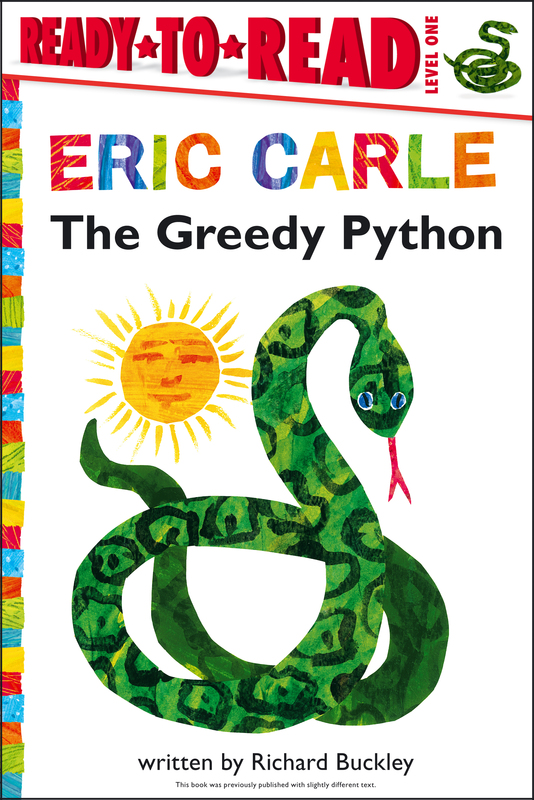 A classic tale of a greedy snake, with illustrations from Eric Carle, is now available as a Ready-to-Read. In this humorous story about manners, respect, and friendship, a greedy python eats every creature he comes across in the jungle. From a tiny mouse to an enormous elephant, the devoured animals eventually befriend one another in the belly of the snake, where they team up and kick the inside of the python until he spits them out. Rather than learning his lesson, the python sticks to his greedy ways. When he spots his own tail and mistakes it for food, he swallows himself and...disappears! This amusing—and cautionary—tale features Eric Carle’s vivid illustrations and rhyming text that’s been adapted into a Level 1 Ready-to-Read, making it ideal for sharing aloud with emerging readers.